Sun., Aug. 5, 2018, 8:14 p.m.
PHILADELPHIA – A Super Bowl victory gave Doug Pederson and Howie Roseman more job security. The Philadelphia Eagles signed their coach and executive vice president of football operations to contract extensions through the 2022 season. Coming off the franchise’s first championship since 1960, the team announced the deals an hour before a sellout crowd watched an open practice Sunday night at Lincoln Financial Field. Pederson is entering his third season as coach. He originally signed a four-year contract with a club option for 2020. Roseman began his career with the team as an unpaid intern in 2000, rose to become the youngest general manager in the NFL at age 34 in 2010, overcame a season in exile in 2015 after losing a power struggle to former coach Chip Kelly and returned to put together a championship team. Pederson, a longtime backup quarterback in the NFL, came to Philadelphia the first time in 1999 as a starter for Andy Reid. He groomed rookie Donovan McNabb that season and spent several more years in the NFL. 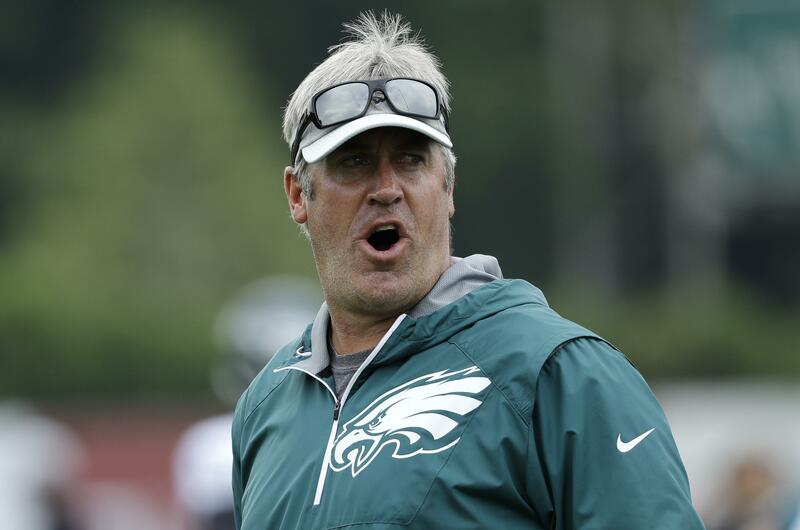 Pederson began his coaching career as an assistant under Reid in 2009, followed Reid to Kansas City in 2013 and was hired by the Eagles to replace Chip Kelly in 2016. He guided a team that overcame numerous injuries last season to a 41-33 victory over Bill Belichick and the New England Patriots in the Super Bowl. The Eagles were led by backup quarterback Nick Foles after Carson Wentz sustained a season-ending knee injury in Week 14. Published: Aug. 5, 2018, 8:14 p.m.